Mosaic is a color drawing, created from small or different in size materials. Glass mosaic has important positive properties, among which it is worth to highlight the strength, resistance to chemical attack, moisture and fungi, heat resistance and frost resistance. These positive properties of glass allow you to use this mosaic to finish the kitchen and bathroom. It is also perfect for creating a kitchen backsplash. 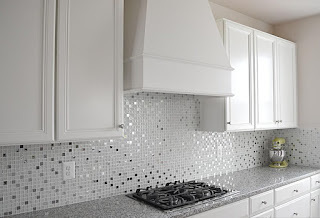 The backsplash must be resistant to moisture and mechanical damage. 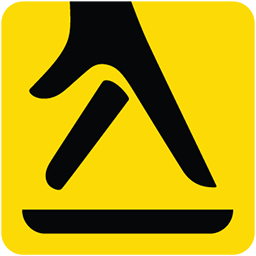 Moreover, its surface is constantly getting dirty. Glass repels water and dirt, so it is quite comfortable to use in the kitchen. The mosaic is made of tempered glass. In addition, small pieces of glass are more durable than large ones. It determines the strength of the glass mosaic. 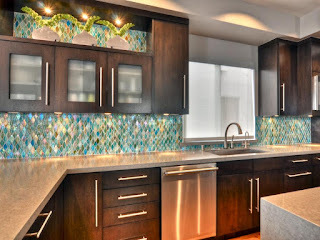 Glass mosaic can give the kitchen a unique look. Glass is known to interact beautifully with the rays of light. A tiny glass tile glistens in the sun and resembles precious stones. This effect can be enhanced by a combination of frosted and glossy glass. In this case, the glossy tiles will stand out for their brilliance and will look like separate highlights. A similar result can be achieved using mirror and glass mosaic pieces in the same composition. Do not forget about the possibility of combining different colors and patterns.